Series mobile apps games scan "Innovator". Startup "ANscan". Begin to present several innovative startups in mobile app original concept - game scan. First startup called "ANcsan". "ANscan", to make it easy to understand this name stands for "Car Number scanned". The application also may be applicable and accommodation Moto and special machinery. The title already revealed the basic meaning of this application. Then describe a bit of functionality. 1). The amount of the photographed figures are added up at the end of the day, week, month and year and the results are summarized. The winners of the future mobile networks this application participate in the rating and receives a corresponding balls. The first in the ranking participants have the opportunity to choose prizes that will give the app games scan"ANcsan" for their winning. 2). Greater coincidence of adjacent identical digits in the car number is also summed for the reporting period. Also summed up with the appropriate rating and award. 3). 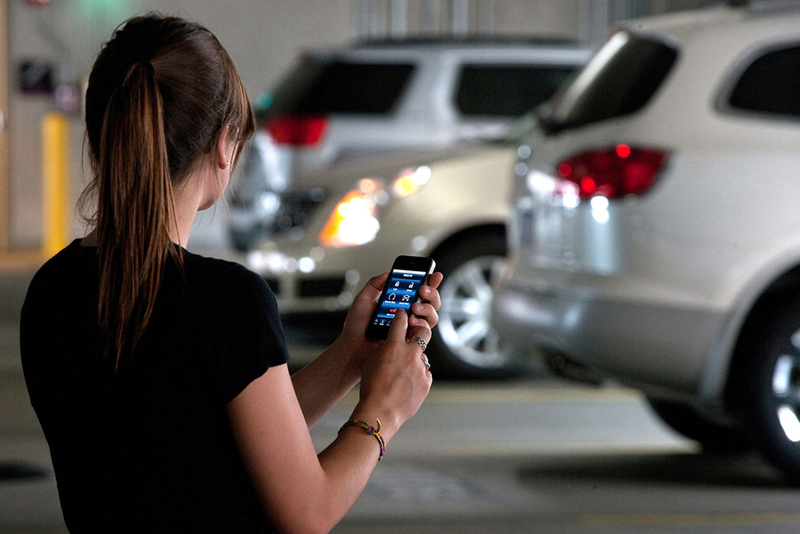 Users of the app get the job automatically in the form of search of car numbers. A temporary location license plates is calculated to bind the location of the participant in real-time. For example - if today is car number in Warsaw were scanned by one member, they respectively have in the database at present, the application of game scan. This number is in the newsletter to all participants in Warsaw for scanning and obtaining points, in addition to the party, which is the number of scanned first. 4). The scan is also taking part and letters on the license plate. At the end of the reporting period, you must collect as much as possible the number of full alphabet of the country from the letters on license plates, where there is a "collection" of data. There will also be a rating. Platform "Innovator" and the author of the original idea of the games scan "ANscan" offers carefully study the idea and consider the possibility of investment cooperation or full foreclosure. The creators of the system believe that with the help of soft control it will be possible to reduce the number of shooting cases in schools. Startup Athena Security, located in San Francisco, invented a neural network capable of seeing a man with weapons in the crowd. First of all, the system is planned to be used in US schools, ZDNet reports. A special algorithm can detect in the crowd a person who has a weapon. To do this, the system connects to surveillance cameras and analyzes the appearance and behavior of people. As soon as the neural network sees a suspicious person (for example, he has a bulging pocket where he can lay his arms), he will give a signal to the police, news.enovosty.com informs. The system was tested by the leadership of the Woods High School in Warminster, Pennsylvania. According to Athena Security, their system is a milder manifestation of control than searches at the entrance and the scope of metal detectors. Shooting in educational institutions is an urgent problem in the United States. According to statistics, in 2017, there were 346 cases of shooting in schools in the United States. Series mobile apps games scan "Innovator". Startup "BARCODEscan". Enough of the global startup project. The idea has its continuation in the form of the project of mobile applications "Innovator" startup "BARCODEscan" and is that when you scan a bar code and (or) its input in the special field of mobile application start-up product, in the form of surprise, provides the user in this new procedure, all sorts of promotional bonuses and awards points. They may be provided in the form of paid applications that user can download free of charge; in the form of discounts on particular goods; as the most active users, travel vouchers or prizes, etc. Incentives are a creative and marketing approaches, that is, they may be countless. Of course, not all bar codes will be able to participate in this service. All this will attract manufacturers of a product to be part of this procedure. Understand that this will increase their sales. The bar codes that are involved in this new procedure, will be visible through the red line or the red frame, which will be the barcode. Those barcodes that have not yet registered in the system mobile application the gaming of scan can be scanned by users to the quantitative amount of a specific accounting period ( day, week, month and year ) to raise the ratings of participants in the mobile app. That is what we have with this start-up project - the interest of customers in purchasing products with the "marked" bar code and corresponding increase in sales growth in users of this service, growth promotion of various applications, etc. That's why this start-up project of a mobile application games scan "BARCODEscan" enough at the global level. This idea is open for investment development or full foreclosure. Earlier this development was only an idea, but now it can become a reality. In Japan, scientists said that in the near future for the first time in the world will test the model of the space elevator. Masahiro Nomi, a professor at Shizuoka University, reported that so far this was just an idea, but soon it could come to life. "The set for the experiment is two satellites, between which the cord is stretched. The task of the experiment is to see what will happen in the conditions of space, if between the two satellites pull the cord and let the apparatus through it. 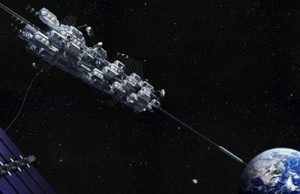 This is the first step towards creating a space elevator, "said one of the development experts. This development will have to work in space at the expense of two satellites that will stay in space, and between them will be stretched a cable of nanomaterials, which they will release after launching into space at an altitude of about 36 thousand kilometers. After the satellite, which is the basis of the creation of the spacecraft, reaches 96 thousand kilometers, its cable will reach the Earth and even then the construction of stations in the geostationary orbit and above will begin. Such developments bring Earthlings closer to the future conquest of the cosmos, as they are already trying to build a space elevator, which no one could think about ten years ago. People are swiftly rushing the ship of technology to the future and will soon achieve their goal, scientists are sure, because mankind strives to invent new communication devices with the cosmos and not only study the heavenly bodies and try to learn them. In the future, they will be able to visit celestial bodies on high-tech ships and, possibly, colonize one of them. Mobile photo app fixing call "Innovator". Sometimes the administration platform "Innovator", examining the application for the submission of ideas, concludes that the submitted idea is unique and full of innovation. Even the simplest ideas may be hiding a rather large investment and financial potential. In this presentation the author's ideas will be written the project startup, which is fully consistent with the above principle. Given that the theme of this the author's idea is completely innovative, try as far as possible to disclose it. The main functionality is focused on the process of incoming and outgoing calls of Your gadget. To some extent, will be present entertaining the meaning of this application, to some extent, will work process of statistics and evaluation of the processes during telephone conversations. Now when a caller in a mobile device, let's take the usual smartphone, clicks a button to call the selected number or caller, then automatically aktiviziruyutsya main camera. And when the user leans to your ear your smartphone, the camera takes one or more photographs or make a video of angle or space which is in front of her. The function of a photo or video, you can choose initially when setting up this application. For an incoming call when the subscriber presses the call button, is similar to the algorithm of the application of photographic images of the call. Front camera can also be used. But it will be removed when the user logs in the phone book or in the call menu of your smartphone, and turns off when he leans to your ear your smartphone. A question arises - why is it necessary!? ; or what do we have!? Let's start with the gaming component - the user of this application will always have a photo fixation of the places where he made his phone calls and took incoming. At the end of the day, the application of photographic challenges with these images forms a simple and colorful video and makes it available for viewing to its user. Or you can simply view as a separate information, those photos and videos near every call in the call menu. That is, there is a new status call not only information about their date and time but also information on the challenges with photo and video fixation of the surrounding space. Component this application in their professional functionality is that at the end of the day, along with a video report, provided its user the map with labels, where were all the phone calls. Clicking on a label on the provided map, the user sees a photo or a video call. The map is generated in real-time, allowing her to view at any time during the day, having access to the account in this application. Accordingly, it can be done remotely. For example, it might be useful for parents who are not confident in the actions of their child, to view and control their phone calls. Also, for internal corporate use to the heads of companies of different levels, etc. This is one of the key components in the future work of this mobile application. That is, we have innovative mobile application that will provide completely new information about the processes that occur during the use of mobile devices. The author's idea of a mobile app photo taking call "Innovator" open to investment, and full of redemption.